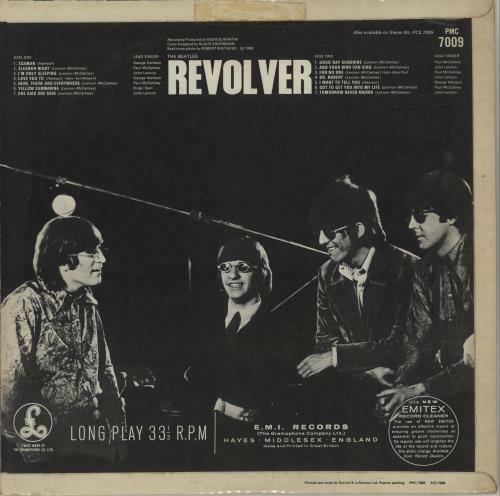 THE BEATLES Revolver (1966 UK third issue 14-track mono vinyl LP, with 'Sold in U.K.' & 'Gramophone Co' label credits, Garrod & Lofthouse front laminated picture sleeve with rounded flipbacks, 'DR. ROBERT' credit & small block 'mono' on the front with 'Emitex' inner. The label text also lists the lead singer before the composer credit & also shows the 'DR. 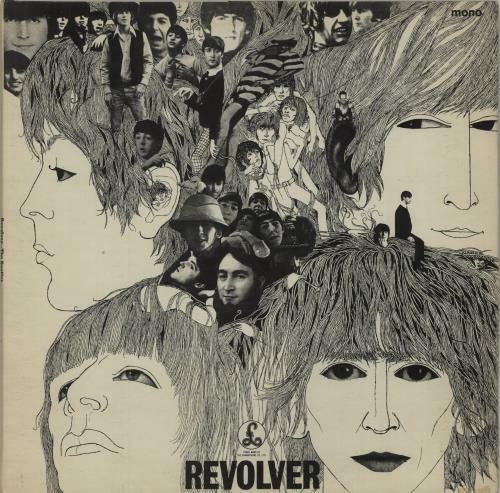 ROBERT' spelling on side 2. See 'more info' for further details ... PMC7009). 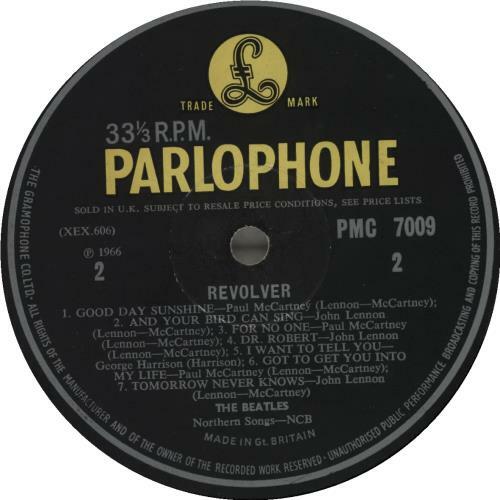 They are of the classic sixties black with yellow 'Parlophone' & logo design, all text in silver. 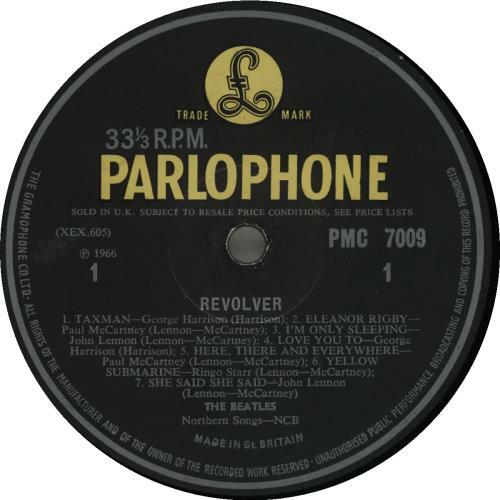 The labels have "The Gramophone Co Ltd" perimeter text & "Sold In The UK" text across the centre of the label. There is an amount of marking around the centre hole to show play. The labels credit the lead vocalist BEFORE the composer credit, indicating a third press. The sleeve still retains the 'Dr. Robert' credit, as does the second side label. The sleeve shows only light signs of handling and the odd minor crease in the laminate, with no writing or tears. The vinyl shows some surface scuffs, spin & the odd mark on both sides. Thanks to the deep grooves & heavyweight vinyl, most of these blemishes are cosmetic in nature, but the odd click and a certain amount of surface noise may be heard from time to time. A great starter copy.